Take on your summer in the breezy Born Kristin. 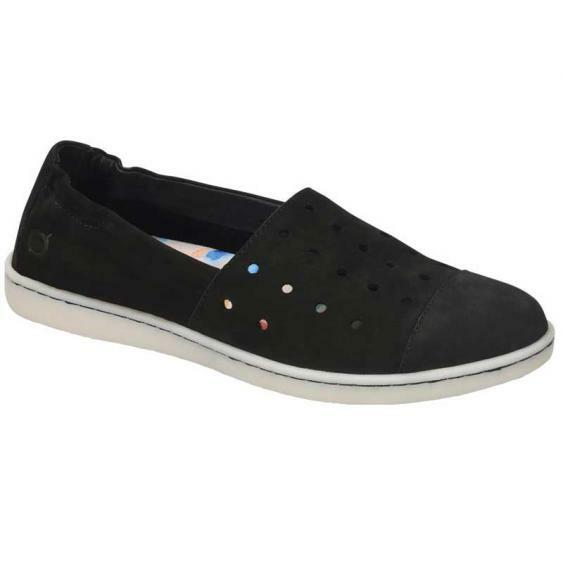 This women’s shoe has an upper made of perforated nubuck leather with a solid toe cap and elastic in the heel to create a snug fit. A fabric lining offers next-to-foot comfort and a fun floral print insole provides cushion and support for all day wear. Born’s Opanka construction makes the Kristin really lightweight and flexible while a durable rubber outsole ensures traction. Enjoy the warm days to come to the fullest in the Born Kristin.